SofaScore - the best sports app to keep up with the Blues! 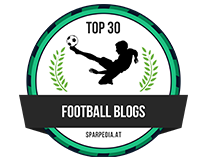 The app covers 17 different sports, including the aforementioned 500+ football leagues, and one might suspect that is a bit complicated to navigate through this information overload, but one would be wrong. The app has a neat design, and one of the reasons behind its popularity is simplicity and ease of use. 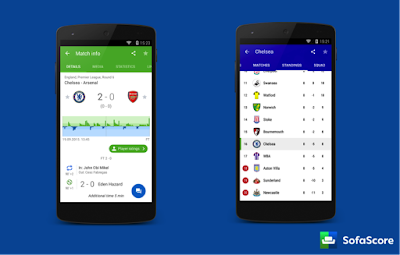 Users are able to pin their favourite sports, leagues and matches, creating a very personalised experience. This is what got me really hooked. SofaScore might be geared towards delivering up to date scores for live events, but it offers so much more. 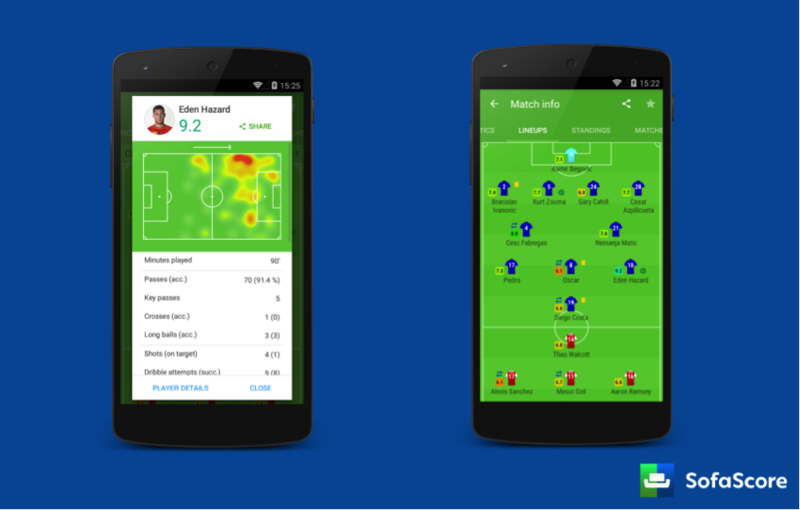 From live game stats, league standings to individual player stats, Sofascore can deliver a plethora of information, empowering the user and making him feel a part of the game. If you add the Blues or their specific match in favourites, you’ll be notified about breaking news (like transfers and similar) as well as about every event from the field. For example, you get lineups notification an hour before the match. When the match starts, you have a beautiful lineups image (the formation changes as the manager shifts the players around). 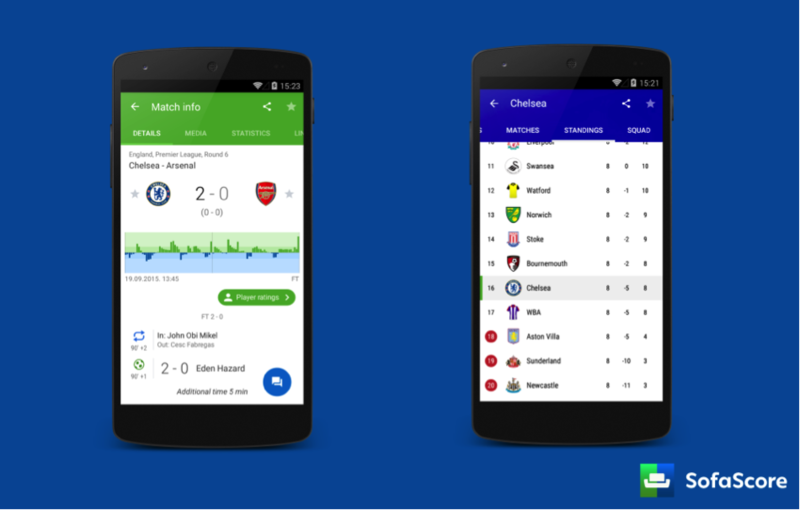 You won't need to check the app every couple of minutes, because you get goal push notifications. The players have live ratings that are based on a complex algorithm, so every pass, tackle, goal etc. count toward the rating. If you want to know a given player's action areas, you just click on him and get a beautiful heat map. So, if you get the feeling that for example Branislav Ivanovic is not up to the task, just click on him and see his live stats. Also, there is this thing called “AttackMomentum” which will give you graphical presentation of a match, showing Chelsea's pressure in a given moment. A huge plus is in game chat that allows you to pour out your frustration or delight with the rest of the community, but watch your language or you'll get banned by the admin. Whether we are talking about first team or the youngsters, SofaScore has the complete rosters with player histories, season stats, market value, and more. Upcoming matches, head to head, results and standing from previous seasons, all this makes you able to predict the outcome of a given match with more confidence. 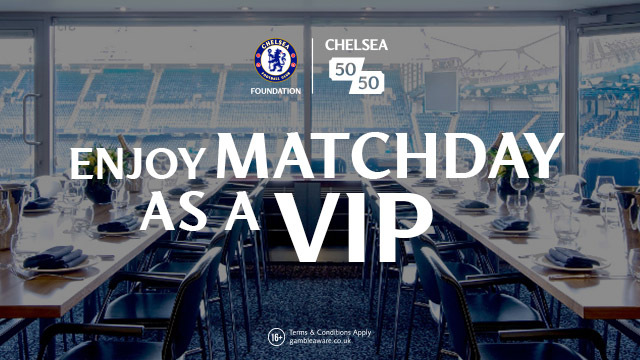 Having integrated with Bet365, interested users can receive the latest betting odds for upcoming matches as well. It works great on all three platforms as well as on smart watches (iOS and Android). 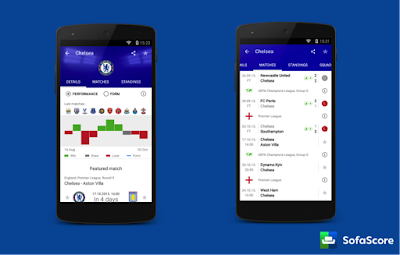 Conclusion: If you want to get involved in every Chelsea match, SofaScore is a must.